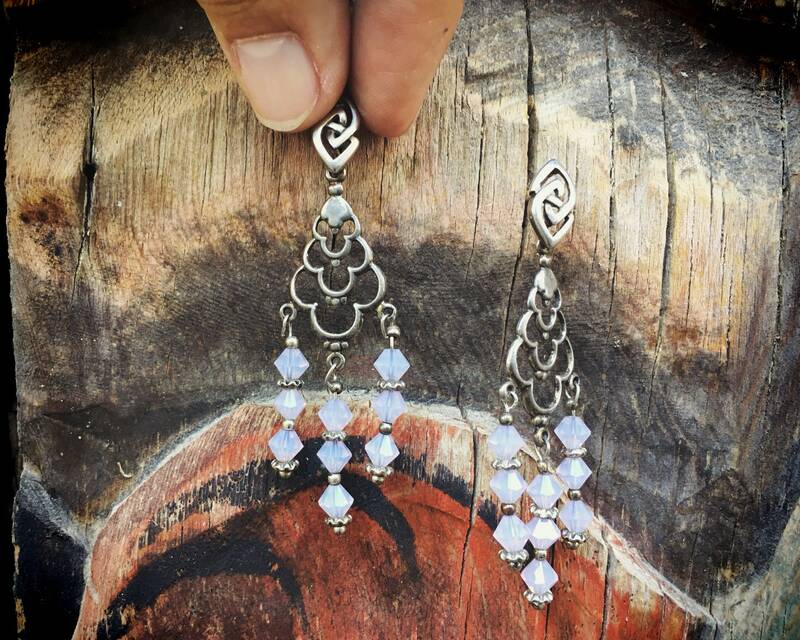 Here we have a pair of earrings made of sterling silver and crystals in a milky pink iridescent color most associated with milky quartz. 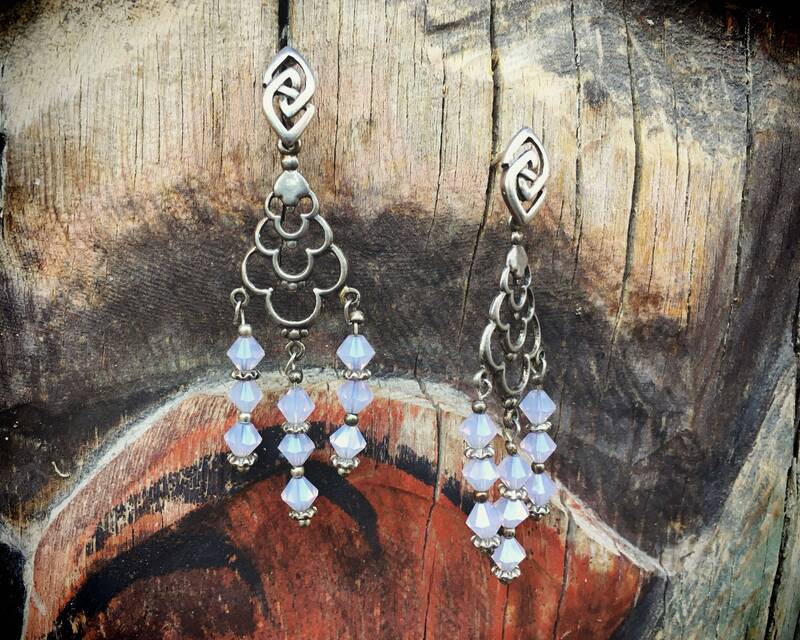 The gemstones are faceted, and I love how they reflect light so well when worn. 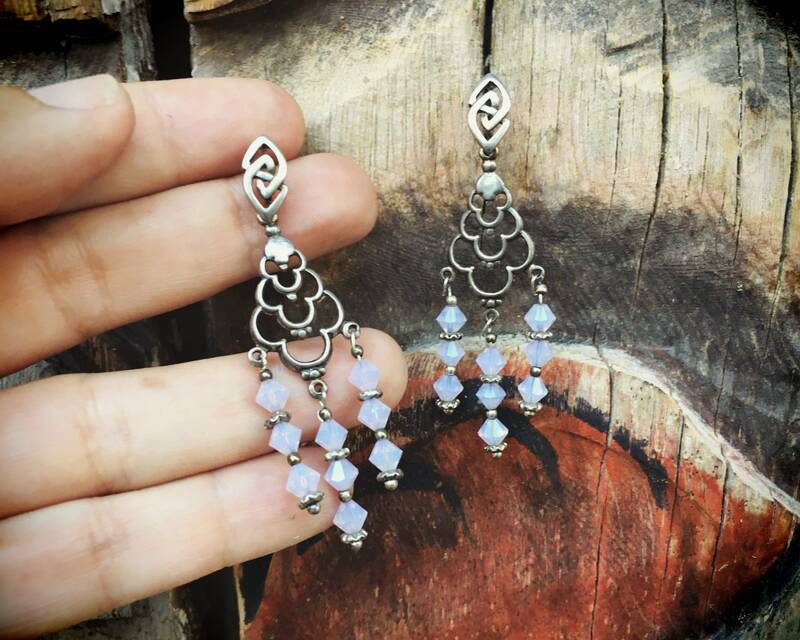 Would be perfect to celebrate the birth of a friend, or a beautiful mama and her 70s or 80s love of chandelier earrings, or to celebrate your self. Measure 2-1/2" tall by 3/8" across and has a push back post. 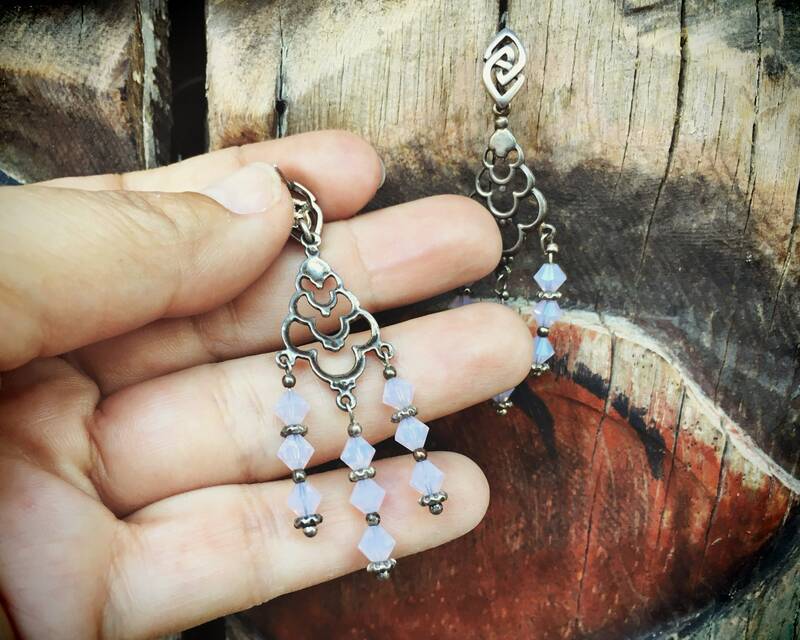 The earrings carry a faint 925 stamp on the back. In good condition. Because life is too short to not celebrate.